Try Lautrec's pink garlic, sausages, saucissons, Lacaune hams and sweet and dry wines from Gaillac. Pink garlic from the Tarn region in France, 3 kg bag. 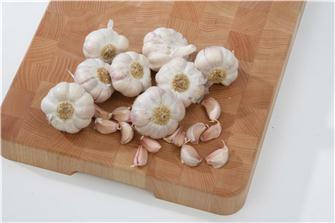 Red label pink Lautrec´s garlic, 5 kg bag. Red Label pink Lautrec´s garlic - hand-braided 1 kg plait.